The Murano blown glass manufacturing of Vetreria Artistica Busato consists on lighting products as precious chandeliers, wall lamps, floor lamps and furnishing pieces as vases, chalices, modern sculptures. All the decorations are made with 24 carat pure gold. 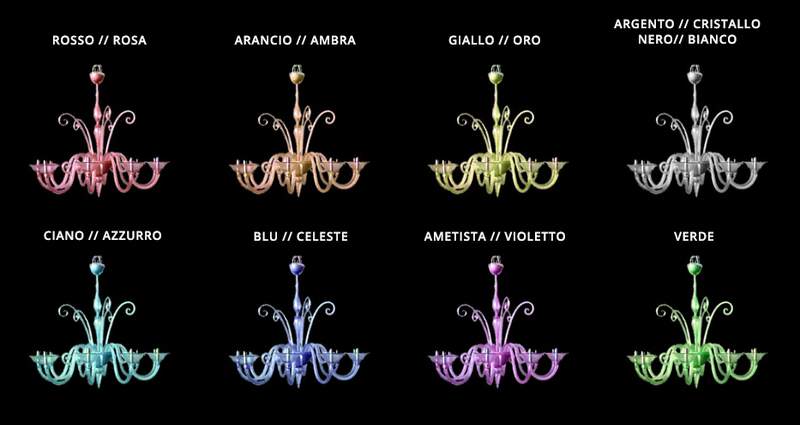 The chandelier collection consists of both classical and unpublished lines; the last ones are designed to meet the modern taste keeping intact the ancient tradition of historical Murano Glass Chandeliers.